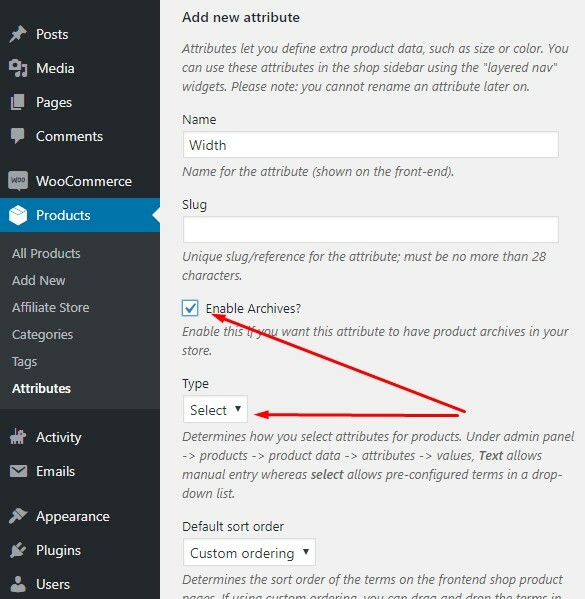 Checkbox ‘Enable Archives?’ is the main condition that determines the behavior of the field in the form. Value of the ‘Type’ field does not matter for the form it is important only under admin panel in the Product editor. After that create a new form in the RH Frontend Publishing Pro plugin with post type ‘product’. As you can see the form has two attribute fields: the first with predefined values (ticked ‘Archive’ checkbox) and second with freely-filled values like product tags.